Packer Testing: Is the flow laminar in my test? This article is about a small but critical check that we should do when conducting packer testing. That is, whether the flow is laminar during the test. The ground water manual talk about how to check for the laminar nature of flow. My interactive computer code in Python would let you find your answer with a few clicks. porosity of the test zone. 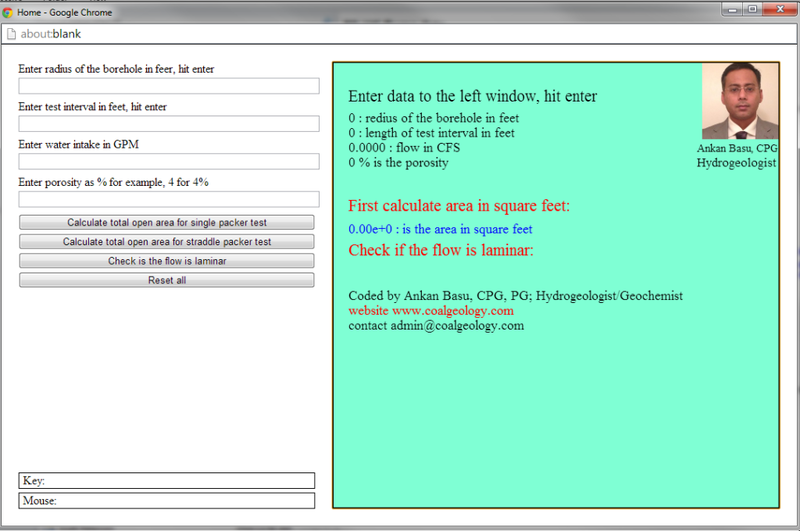 for example, in a borehole with 0.125 feet radius; 10 feet test interval, and 4% porosity, if the intake is 10 GPM, the flow would be laminar. # checking is the flow is laminar. # Note: Program will not work in INTERNET EXPLORER, use SAFARI, CHROME or FIREFOX. 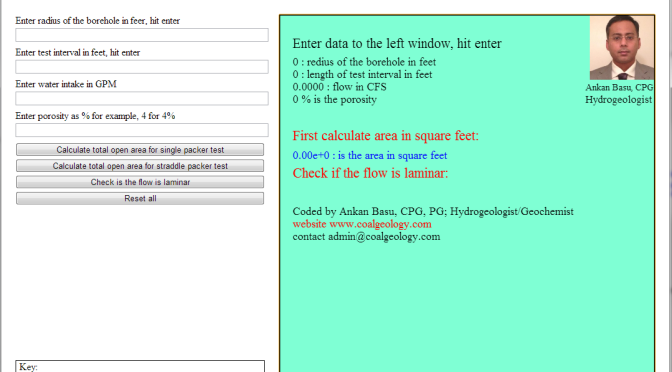 L=0 #length of the test section of the hole.